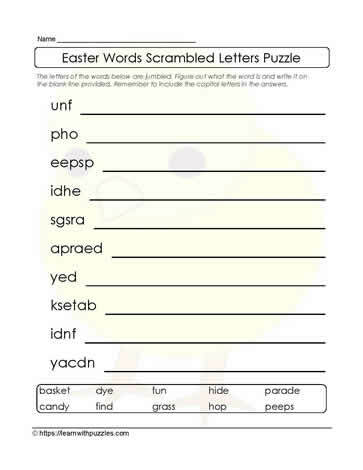 Here is scrambled letters Easter list of words printable puzzle. Students in grades 2,3,4 classrooms, homeschooling and tutoring resources engaged in fun and active learning. Supports brain engagement, activates problem solving and makes learning fun!